If you're looking for relaxation in the sun, then Eurostars Las Salinas in Caleta de Fuste is the right place to stay. It is a family-friendly and couple-friendly hotel right on an idyllic beachfront. This large and impressive complex adds a touch of luxury to your holiday with a decadent spa and a refreshing large pool. Year on year Eurostars Las Salinas continues to be a firm favourite with couples, honeymooners and families looking for a sunny beach break in the lap of luxury. The hotel offers rooms-only, bed & breakfast, half-board and all-inclusive accommodation choices. 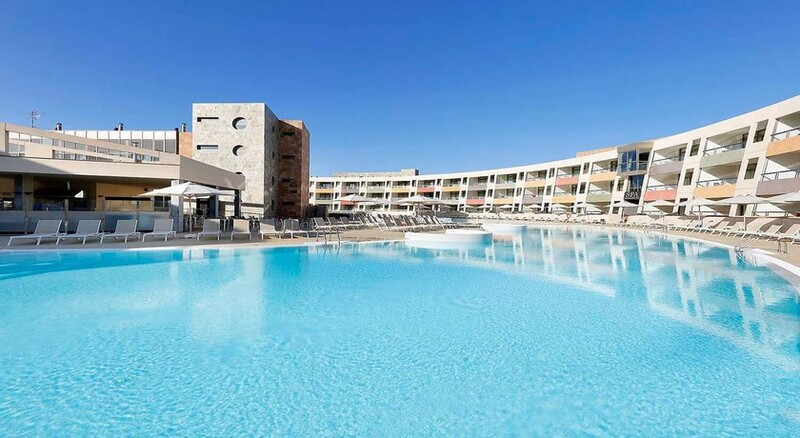 With 223 well-appointed rooms, kids and adults swimming pools, excellent golf courses nearby and plenty of watersports to try out, Eurostars Las Salinas is the perfect place to stay for a fun-filled Caleta de Fuste holiday. Eurostars Las Salinas is located on the beach-front and is surrounded by open grounds and far reaching views. Golf courses like Golf Salinas de Antigua (4.9km) and Fuerteventura Golf Club (2.5km) are a short drive away. The nearest airport is Fuerteventura Airport at 7.9km. Eurostars Las Salinas has 223 well-furnished air-conditioned suites and villas. These come with double or twin beds and a fully-functional kitchenette. The kitchenette has an electric hob, electric kettle, microwave, toaster, mini fridge, cutleries and more. Some of the amenities in the rooms include en-suite bath amenities, TV with satellite, safe deposit box, Wi-Fi internet, telephone, separate living area, complimentary toiletries and hairdryer. Apart from this, housekeeping service is provided from time to time and fresh towels and bedding are changed on a daily basis. The main buffet restaurant is open for breakfast, lunch and dinner. The breakfast is largely continental, with hot and cold items and fresh bakes. At lunch and dinner local and international cuisine is served. Wines, other alcoholic and non-alcoholic drinks are served during lunch and dinner. The hotel also houses large indoor bar, which serves local and international drinks, light meals and snacks. In addition to this, there is a pool bar, which serves drinks and snacks to guests relaxing by the pool. The hotel features a large outdoor swimming pool with Sunbeds and parasol. kids can also enjoy at the paddle pool. Water gymnasium, aqua aerobic, water polo and water volleyball are some of the activities to try out at the pool. For fitness freaks, there is fitness centre or go and play tennis in the massive tennis court. 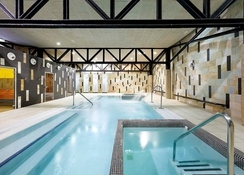 The wellness centre and spa have serene interiors with indoor pool, sauna and whirlpool for relaxation. Animation shows are organized in the evenings for guests’ entertainment. On the beach, activities to try out include sailing, snorkelling, scuba diving, fishing, jet skiing, kite sailing and more. What a fab break. Lovely hotel, ok breakfast - get down early. Beautiful rooms, they are slightly inconsistent with room cleaning but not a big drama a call resolved it. Really nice staff and a lovely island , would highly recommend this hotel. Cannot rate this hotel highly enough. Excellent rooms, lovely food in the best location. Straight onto the beach, close to all local restaurants and shops. 5 mins from the airport. Very modern upmarket hotel with very high standard of rooms. Cannot fault this place at all, i return every year and its always good. Was a lovely hotel, good service, occasional around the pool entertainment was good, good location, on beach front and close to town, spa was amazing. Stayed in July 2017 and had a great time. The room was huge and the hotel is located next to the beach. A 5-10 minute walk you are in the town. There are shops and restaurants next to the hotel as well. Food was ok but the staff were great. My son and I had a fantastic time here. The room was the best hotel room we have stayed in. We would love to return at some point. Fantastic hotel with friendly & helpful staff, set in a great location with plenty to do on site and near by. Wide variety of choice for food and super clean rooms and facilities. We will definitely return as we couldn't have been made more welcome. Lovely hotel, very clean and fabulous food. Wonderful place to stay, welcoming and help staff, clean, tidy, wonderful food, good choice of drinks, lovely spacious rooms. we stay in December which was out of season so there was no entertainment but we had a few nice evening walks.